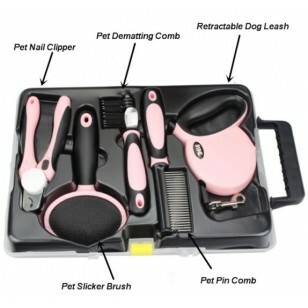 This top quality boxes five piece pet grooming set gives your all you need to keep you pet looking super groomed. Brushing your pets hair for 10 minutes every day helps to enhance your pets blood circulation and coat, whilst giving your pet a that great feeling of been very pampered. This top quality boxes five piece pet grooming set gives your all you need to keep you pet looking super groomed. Brushing your pets hair for 10 minutes every day helps to enhance your pets blood circulation and coat, whilst giving your pet a that great feeling of been very pampered. 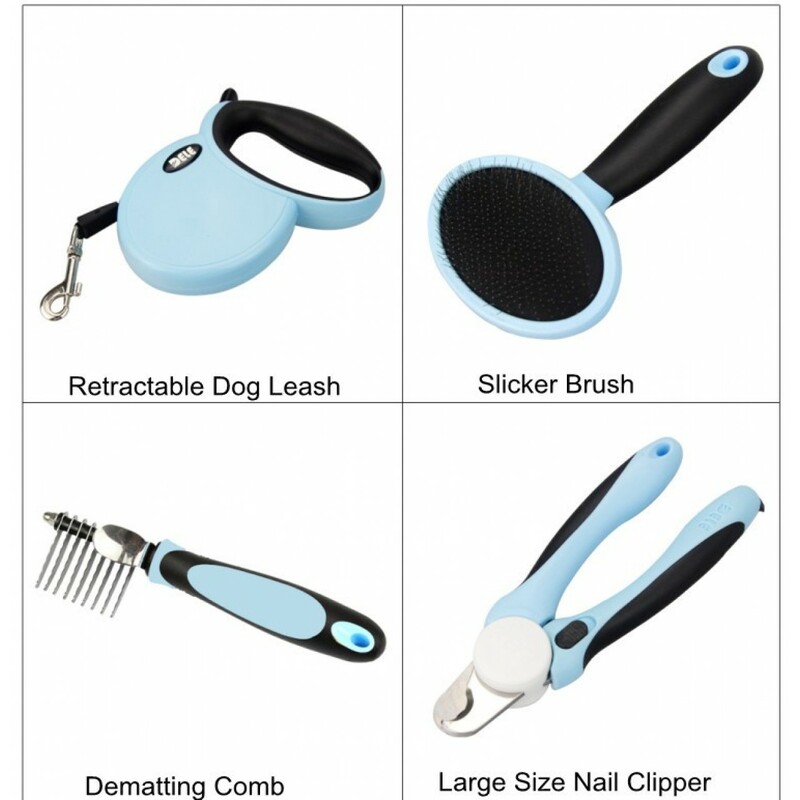 If you have a miniature dog then they'll love this dog grooming set to be fussed over. 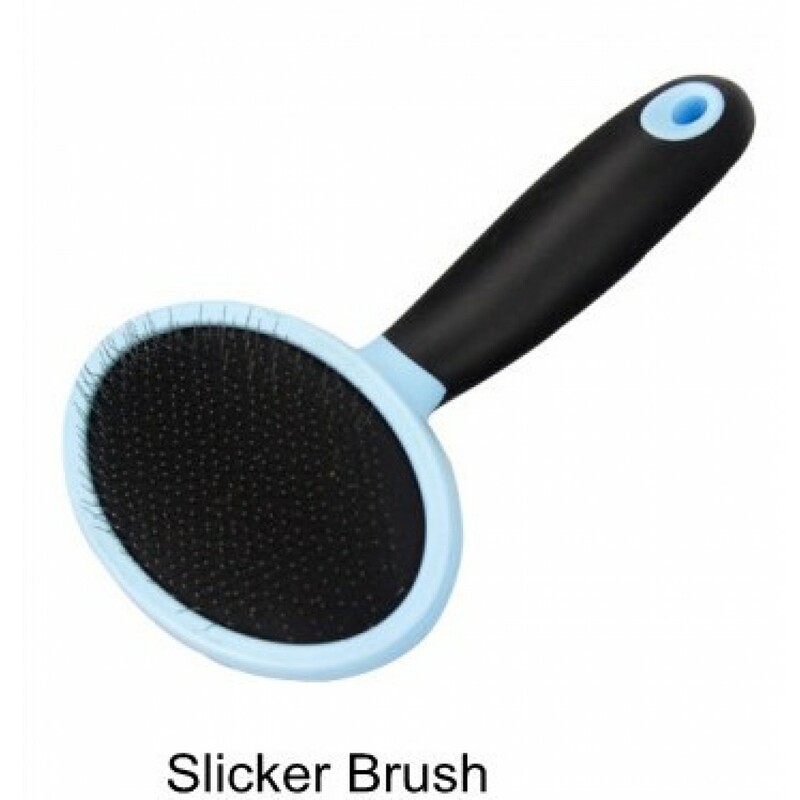 Chihuahuas love being brushed and will love this dog grooming set catering to all their doggy needs. Not just for Chihuahuas, Yorkshire terries will love being fussed over and petted with the doggy pet pin comb and slicker brush after a walk in the park. 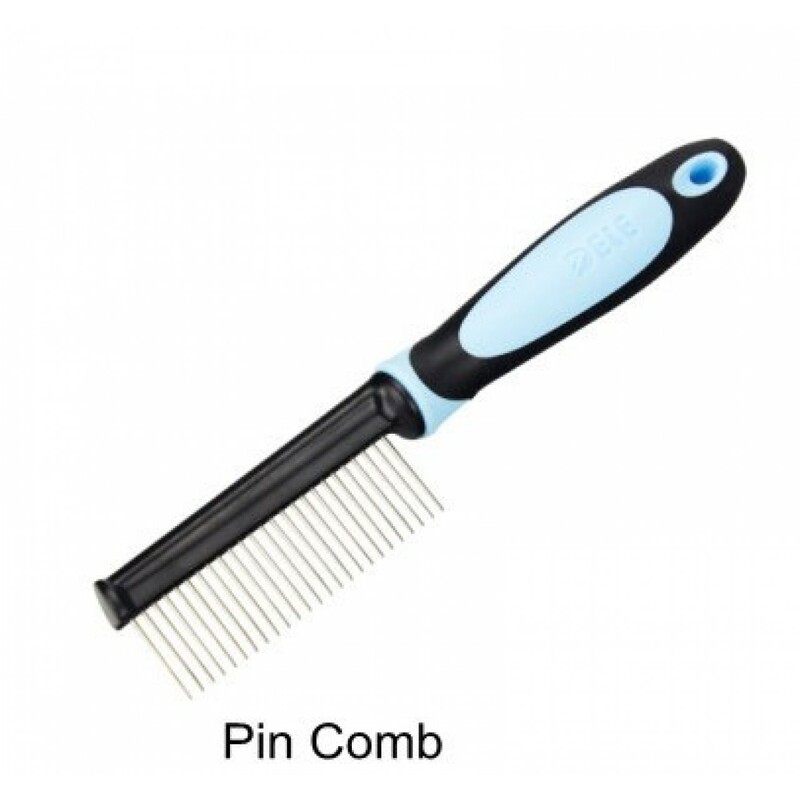 If your pet gets matted fur, then the de matting comb is just what you need to straighten their fur. The set also includes a retractable dog leash, perfect for those long walks in the park, making the grooming kit a perfect accessory for when your doggy has been jumping in puddles! The grooming set is available in pink or blue.